Zoom in on the coolest bugs in the world, crawling the forest floor alongside beetles and ants, and flying the skies with bees and dragonflies. Discovering Bugs makes you feel as if you’re looking through a microscope...and the deeply textured cover looks and feels like a gigantic spider! Stunning artwork takes you up-close-and-personal with 50 of the most interesting "bugs" from around the world. Your own backyard! 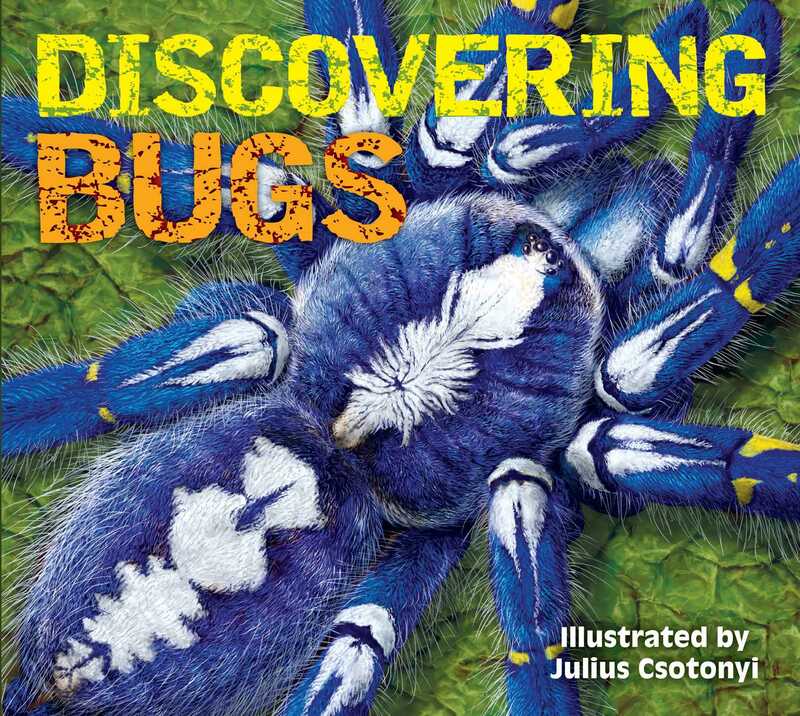 Discovering Bugs features: *Profiles of dozens of awesome critters, from the teeny, tiny fairyfly wasp to the ginormous Goliath beetle! *Fun Facts highlighting the fascinating features of each species, from the classic monarch butterfly, to the Gooty sapphire tarantula, to the Hercules beetle! *Intricate, full-page illustrations show these creatures in action, battling other bugs or blending into their natural environments!